If you have made it to this page, I am guessing that means you are engaged!! Congratulations!!!!! This is an exciting time in your lives, both individually and as a couple and I would be delighted to talk with you about how Swiger Photography can be apart of your wedding day! I describe our wedding photography as full of life, vibrant images that are both unique to you and classically beautiful. We take the time to get know every couple and the wedding day they are planning, so no one size fits all options here! For us, weddings are personal and therefore your photography should be too! So be prepared for me to ask you lots of questions and to be so excited to hear about the details of your day! We whole heartedly believe that all love is equal and that real is better than perfect. Our ideal clients aren't wealthy or thin or straight or white but rather real, beautiful couples who also whole heartedly believe in the power of love and in being authentic to themselves, not traditions. Because of that, we have shot all kinds of weddings; everything from breweries, to roof decks, ballrooms to backyards, religious to self uniting ceremonies, big budgets to small budgets and almost everything in between. Our clients are just as diverse as well and to us, they are what its all about. Below you will find a little information on the types of services we offer, starting prices and what is typically included at that level of coverage but for all the good info, please click over to our contact form below! I cant wait to hear from you! What better way to ask the love of your life to marry you than having a photographer there to capture it all! Whether we trick your partner into thinking its a photoshoot and then turn it into a proposal or I am hiding away to sneakily capture the moment, we have got you covered and will be there to talk you through what will happen and then stick around afterward to photograph some “they said yes!” portraits of the two of you! For some couples want to say "I do" in a more private intimate way with a few witnesses and others want to have all the elements of a wedding on a micro scale. Both are awesome and we offer packages for either type of couple! If you are planning to elope or get married at city hall, our elopement coverage begins at $450 for weekday elopements! 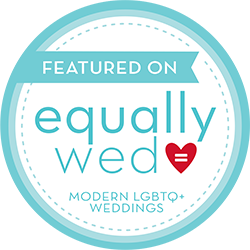 We even offer an all-inclusive micro wedding package at our one of a kind unique location in the heart of Philadelphia! What's a micro wedding you ask? Click below to learn more! Most of our couples come to us looking for 6-10 hours of wedding coverage and so most of our packages are in this category! We offer everything from simple packages that just include coverage and digital images, to packages that include a second photographer and albums! Its all up to the couple, what they are looking for and what their budget is! Every package includes an engagement session, digital images, online gallery and a print release! Prices start at $2100! Our clients have taken us far beyond the greater Philly area over the years and we are always ready for a new adventure! We've booked clients in New York, Michigan, Ohio, Delaware, New Jersey, the Pocono Mountains and Florida so if you are planning a destination wedding OR aren't from Philly and would like us to be apart of your wedding day, we'd love to chat!